Saturday's practice session started with a short game masterclass from County Coach ,Nick Soto, we had hoped to run an "approach shot" session but this was not possible because the short game area we had available was, err, very short! None the less, Nick set up a practice set with chipping, pitching, bunkers and playing short chips with different clubs and just getting the squad to open their minds to playing different shots and put these shots into their practice regime. This was followed by a bunker session and playing different clubs from bunkers and Mudgie discovered he was a genius with a pitching wedge from the sand. Thanks go to Nick for his input. Sunday morning and everyone gathers at Royal Norwich on a perfect day for golf, sunny spells, not too hot with no wind, although this did get up as the day went on. Miles Mudge and Matt Myers (fresh from winning the County Cup) player Royal Norwich members Thomas Judd and Bruce McQuads, whose home advantage still wasn't enough to beat our pairing, a half the result. We sat at lunch 2.5 - 1.5 up. Match 3 saw Harry Woan gain a creditable half and stop the rot and turn the match back in favour of Northamptonshire. This left us needing half a point more from one of the last two matches and the news on the course was that Matt was 2 up with 4 to play and Mudgie had turned pulled himself back from 3 down to all square with 2 to play. In match 7, both players hit the green on 17, but Matt's ball kicked forwards on it's 2nd bounce thanks to his playing from the semi rough, whilst his opponent was left with 12ft for eagle, Matt was at the back of the green. With the Norfolk player holing for an eagle to take the match up the 18th, tensions were rising in the Northants Camp as Miles also lost 17 to go 1 down with 1 to play. 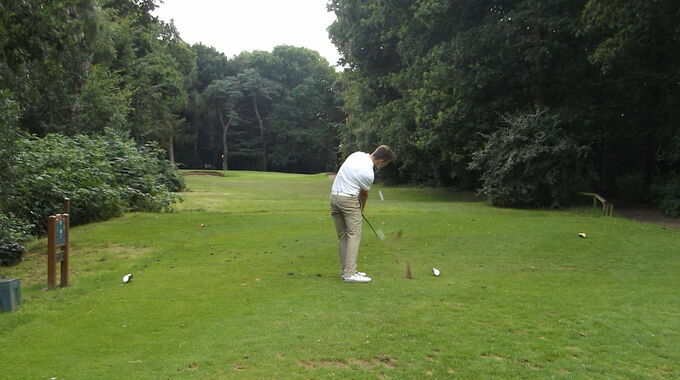 Fortunately for us, Matt hit the 18th in 2 whilst his opponent missed and then could only manage a 5. 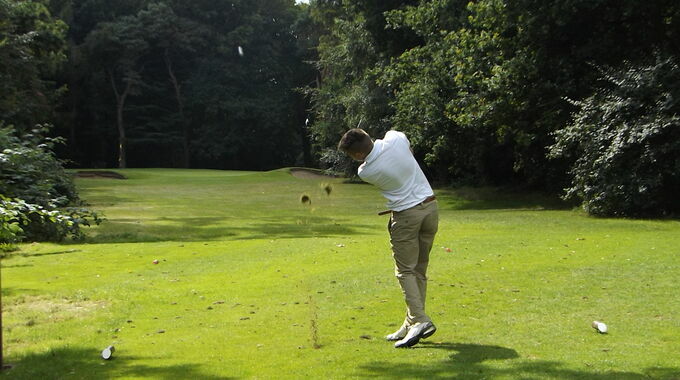 Matt cosied his ball up to the holeside for a 1 up win to secure the match for Northamptonshire. 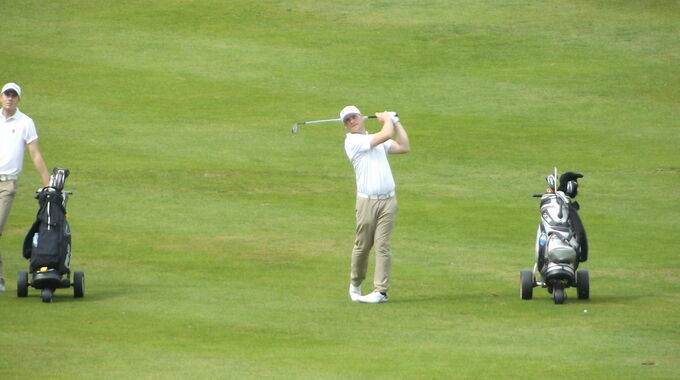 For the record, Miles lost the 18th, but had battled well against Norfolk's best player on the day, on his home track.